“The world’s on fire,” according to Craig. Though that’s a bit of an exaggeration, it sure does feel like it. So, in the name of keeping you safe in this unpredictable season of wildfires – and smoke – we’re again going to stick close to home this weekend. Directions: From downtown Missoula, head east on Broadway to Madison Street. Turn left and head north over the train tracks and under the freeway onto Greenough Drive. Head up the big hill, and about a quarter-mile later turn left onto a short, unsigned dead-end road. Parking is along the narrow dirt roadside. It can be difficult to turn your vehicle around, so anything other than passenger cars or trucks is not recommended. 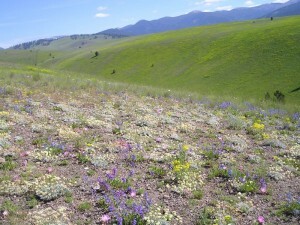 What to expect: This is an easy hike with many rewards, including big views of Missoula and the northern Bitterroot Mountains – plus a rare cushion plant community and lots of interesting birds! 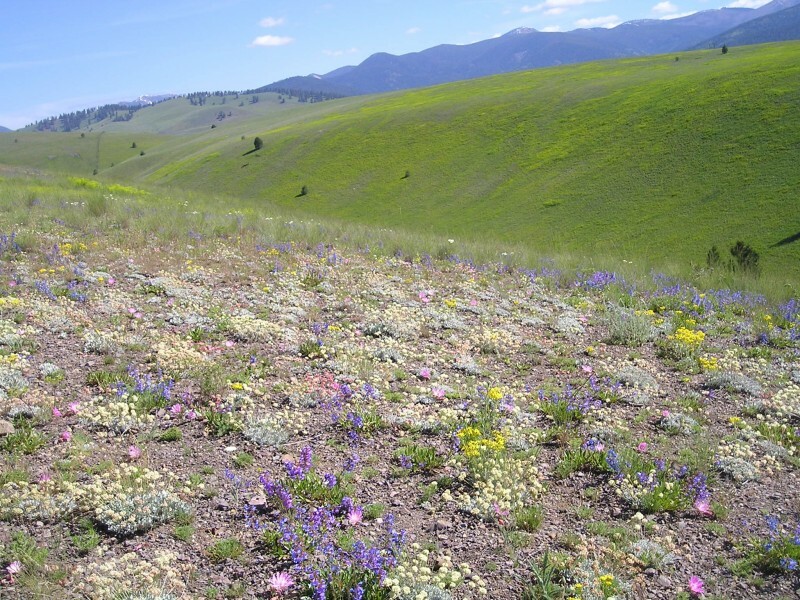 Because of its proximity to Hellgate Canyon and it’s infamous year-round breezes, alpine plants that would normally be found at the top of high mountain peaks grow on this lower elevation hill right next to town. And many locals enjoy a quick, heart-pumping workout here – largely thanks to its easy access from downtown. From the parking area, walk around the metal poles at the trailhead and head uphill. The trail is the width of a single-lane gravel road. 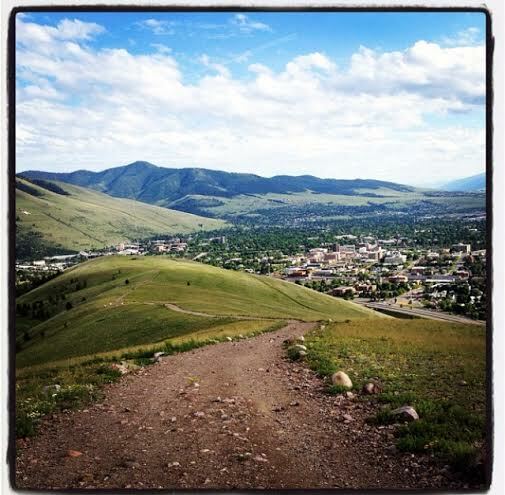 After a gradual half-mile climb you reach the first scenic vista of the Missoula Valley, the Blue Mountain Recreation area and Lolo Peak. The trail flattens out here – a great place to look at the short flowers of the cushion plant community. Some species include the bitterroot, hairy goldenaster, cushion buckwheat, Missoula phlox, douglasia and many others. The best time to see these is from mid-May to the end of June. At 0.7 miles you come to a funky fence line made of scrap metal and wood poles. Look for mountain and western bluebirds perched on these. The next hill is short, but steep. To continue the loop back to whence you came, turn right and walk a short distance to the fence line. Make another right, follow the fence line and take the switchbacks down the hillside to Cherry Gulch. Cherry Gulch will take you right back to the trailhead for a total of 2.5 miles. For a longer trip continue straight to the cutoff to the Moon-Randolph Homestead to your left, or turn right toward the Mountain View Trailhead (on Duncan Drive in the Rattlesnake neighborhood). If you enjoy bird watching, Cherry Gulch has shrubs and cottonwood trees that attract some interesting birds including lazuli buntings, Bullock’s orioles, and hairy and downy woodpeckers. The grasslands attract lots of western meadowlarks and vesper sparrows.